With its worldwide fame as the second largest Natural History monument on Earth, the Petrified Forest of Lesvos is justifiably the major attraction to this splendid North Aegean island. Thousands of visitors from every corner of the world scale the 92-kilometer distance from the Lesvos capital, Mytilene, to pace the Petrified Forest Park and marvel at its hundreds of fossilized trees, large numbers of which remain standing. The Petrified Forest was formed as a result of increased volcanic activity on the island millions of years ago. Geologists of the Aegean have described how the sinking of the Lithospheric under the Eurasian plate resulted in major volcanic activity, causing the lush forests of Lesvos to be swathed in volcanic ashes, lava and pyroclastic material. The petrification, geologists explain, is the outcome of a process of calcification. 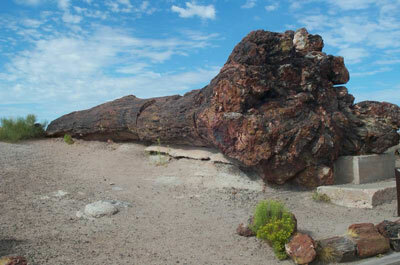 In conjunction with the lava and volcanic material that saturated the trees, the large amounts of silica in the water running through the area caused the tree trunks to turn into stone. 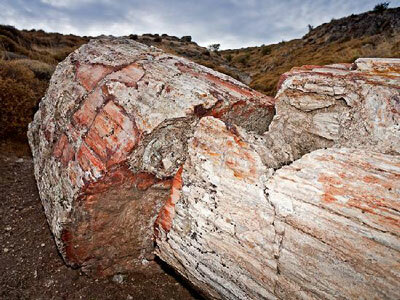 According to experts, the Petrified Forest of Sigri is a uniquely well-preserved ecosystem. A contestant for inclusion in the UNESCO World Heritage Monuments, it is a time-capsule providing invaluable evidence of the climatic, botanical and geological conditions of the original, living forest of millions of years ago. 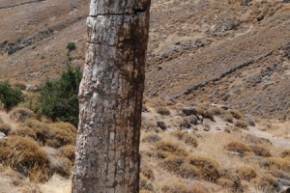 The Petrified Forest of Lesvos presents a broad range of fossilized, impressively hued plant species, immense Sequoia trees and many vividly-colored coniferous tree trunks, the largest of which is over twenty meters in length. Its large number of tall-standing fossilized trees remains unmatched. 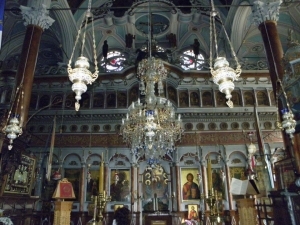 The Lesvos Petrified Forest earned the island its title as an Eden European Destination of Excellence (2009) and continues to attract thousands of visitors to the island. 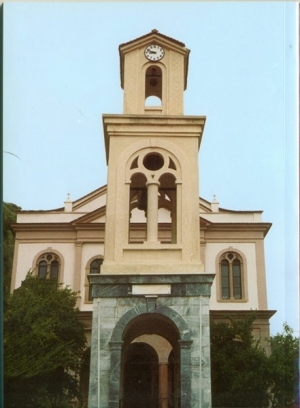 Journey through the dramatically barren landscape of Western Lesvos – the Wild West of the North Aegean – into this land of Giants of stone: you will discover a world that, 17.5 millions of years ago, would have been alive with the sound of birdsong and the rustle of the wind in the leaves of so many tall, living trees. There is no other natural monument of its kind in the entirety of Earth. 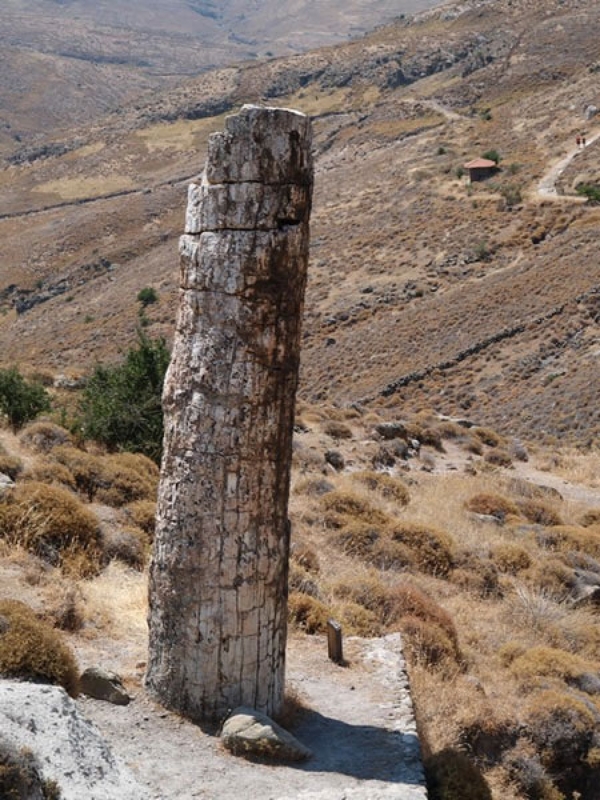 Surrounded by the settlements of Sigri, Antissa and Eressos in the western quarter of Lesvos, the Petrified Forest extends over a stretch of 150 square kilometers. 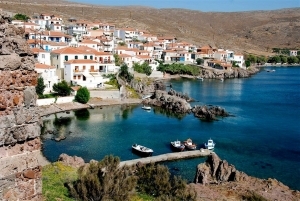 A range of fruit-bearing and coniferous fossilized trees, however, have been discovered in other parts of the island, in Molyvos, Akrasi, Polichnitos, Agra, Khidira, Plomari and the islet of Nisiopi (opposite the harbor of Sigri) and new fossilized plant species such as cinnamon, willow and bay have recently been uncovered in the region of Agia Paraskevi. This kind of geological evidence underlines the role of Lesvos as a site of natural historical value of such immensity it has justifiably emerged as a Geopark visited by thousands of nature lovers from around the world. The second largest Petrified Forest on Earth, the Petrified Forest of Lesvos encompasses a network of paths that run a total length of 3.5 kilometers and provide access to a unique display of fossilized trees. To access the Petrified Forest Park, follow the road stemming off from the 8th kilometer of the Sigri-Antissa artery or, if you are travelling from Athens, hop on board the ferry directly to Sigri (which has sea links with Rafina). The Lesvos Petrified Forest Park is open Monday through to Sunday, from 09:00 am to 17:00 pm during the summer months (July 1st – September 30th). Please note that operation times may vary during the winter season (October 1st – June 30th) and that the Park is closed between the months of January and February, when group visits may be organized subject to prior arrangement only. For more information, please dial 22510 – 47033. The Museum of the Petrified Forest was established in 1994. The perfect accompaniment to a visit to the actual Forest Park, it is an invaluable source of information on the Petrified Forest and its creation and history. Opening times are Monday to Saturday, 09:00 am to 18:00 pm and Sundays 10:00 am to 18:00 pm in the summer season (July 1st – September 30th). In the months of winter (October 1st – June 30th), the Museum is open Monday to Saturday, from 09:00 am to 17:00 pm, and between 10:00 am and 17:00 pm on Sundays. Full tickets are priced at 5.00 euros. Family tickets (10.00 euros), reduced tickets for group visitors (3.00 euros) and concessions (2.50 euros) are also available.